A Bachelor of Education or B.Ed course is an undergraduate degree program that prepares you to become a teacher. 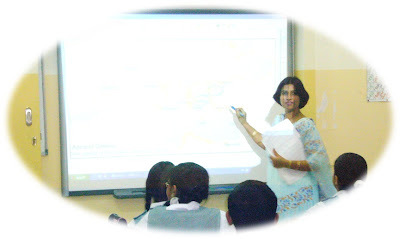 Once felicitated by a B.Ed degree, you are qualified to teach in schools and other similar educational institutes. There are many institutes that teach B.Ed. courses in India. Let us explore the different B.Ed Colleges and avenues of opportunities that open after pursuing a B.Ed degree. B.Ed courses are meant for those students who wish to pursue a career in teaching. In order to teach, it is the bare minimum that a professional must have in terms of qualifications. All higher primary schools and high schools ensure that the teachers they hire have this degree. Therefore, if you are aiming at teaching on this level, it is mandatory to have studied B.Ed. If you want to enroll for a B.Ed program, then you need a minimum qualification of "Bachelor of Arts (B.A. )", "Bachelor of Commerce (B.Com)", or "Bachelor of Science (B.Sc.)". Those students with a background in arts are meant to teach subjects such as geography, civics, history, and languages, while those from the science field are trained to impart knowledge in the subjects of mathematics, chemistry, biology and physics. After receiving a B.Ed degree, one can pursue higher studies and enroll for Master in Education or M.Ed. course in a university in India or abroad. The statutory body National Council for Teacher Education is responsible for regulating teaching courses in India. The B.El.Ed or Bachelor of Elementary Education program is a four-year long integrated professional degree course that educates the students about elementary teacher education and can be applied for right after 10+2. The course has been devised by Maulana Azad Centre for Elementary and Social Education (MACESE) of the Department of Education of Delhi University. Introduced in the year 1994, the education program aims at meeting the demand for professionally qualified school teachers at the elementary level. The course structure has been specially designed to combine subject knowledge, pedagogical knowledge, communication skills and human development. Students who graduate with a B.El.Ed degree have the independence of choosing their future path – they can explore professional as well as academic options. In case a student wants to teach in primary or nursery schools, there is an option of a diploma program called Diploma in Education or D.Ed. or TCH. The eligibility criterion for this program requires the applicant to the pass in pre university program. The duration of the course is mostly one year. Recognized by the NCTE, this institute offers a full-time B.Ed. course with duration of one year. The eligibility criteria for the program requires you to have successfully completed the 10+2+3 or the 11+1+3 pattern of study, and passed class 10th and 12th exams by CBSE or another recognized education board. The eligible aspirants will then need to take the university’s selection test of 100 marks. Open university IGNOU or Indira Gandhi National Open University also provides B. Ed education course of two years. With an aim to impart quality education to one and all, IGNOU promotes education by teaching B.Ed. Maximum duration of four years and a minimum duration of two, the course intends to boost the professional competency of potential teachers. The fee for this course in about Rs. 20,000. This private university is known for its good placements. One requires a minimum of 50 per cent in graduation and at least 60 per cent in 10+2. The non-sponsored fee for the one-year course is Rs. 0.335 Lac, while the sponsored fee Rs. 0.50 Lac. Amity also offers Bachelor of Elementary Education. Delhi University colleges like Miranda House and Lady Shri Ram College also teach Bachelor of Elementary Education, which is a four-year long full-time course awarding under-graduate degree. The Maharashtra state government's common entrance test (CET) for admission to Bachelor of Education courses was conducted on June 20th 2013. Usually, the test is scheduled to fall on a Sunday every year. This year being an exception, the test conducted on Thursday caused discomfort and inconvenience to many aspirants. The change in schedule also included change of the month, as the CETs held previously were always conducted in the month of May. The alterations hampered plans of many. Many CBSE schools were set to re-open on the same date, which made several teachers feel troubled. The schedule seemed normal to those who are currently unemployed, but those applicants who are working found it highly unprofessional to seek a day off for the test, especially when the schools have just re-opened. According to the working professionals who took the test, asking for an off in the first week itself was quite embarrassing. The date of the exam had been decided by the department of higher education headquartered in Pune. One of the main reasons cited for the delay was that the university results were running late due to strike by the faculty. The logistics were also said to be on the higher side this year. The result of the B.Ed Admissions for 2013-14 will be declared on 1st July, while the third and the final round of admission will take place between 31st July 31 and 7th August. Devika Arora is a prolific writer who compiles relevant facts and analyzes the current state of affairs pertaining to the domain of education in India. 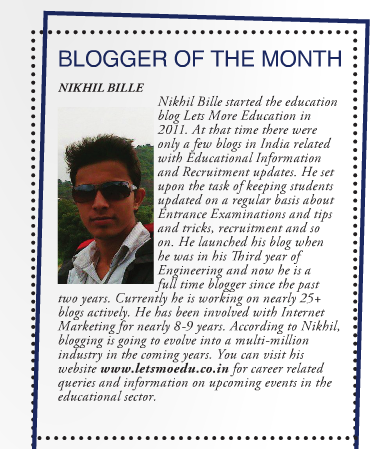 She is currently writing informative articles and blog posts which gives useful information about B.Ed. courses in India. org.in Hi friend if you want to you good percentage, online education ,online certificate courses then visit at:http://iipt.